Michael P. (forest-house) created T60146: Blender 2.80: Not possible to Render ViewLayers as expected. Michael P. (forest-house) created T58508: Node Editor: Some nodes lack red line when muted. Michael P. (forest-house) updated the task description for T58506: Cycles: Viewport playback flickers to black. Michael P. (forest-house) created T58506: Cycles: Viewport playback flickers to black. Michael P. (forest-house) created T58491: Rotate Widget: Cursor doesn't change after leaving the rotate wiget. Michael P. (forest-house) added a comment to D1984: MotionBlur2D Compositing Node. Hi @Tod Baudais (tod_baudais) any progress here? Michael P. (forest-house) updated subscribers of D2493: Compositor: Add Distance Transform Node. Michael P. (forest-house) updated subscribers of D2411: Compositor: Add Anti-Aliasing node. Michael P. (forest-house) updated subscribers of D3606: Image Editor: Add option for showing a matte based on Cryptomatte render passes. Michael P. (forest-house) added a comment to T55239: Built-In Assets. Michael P. (forest-house) added a comment to T54387: 2.8: Code-Quest (Topics we plan to cover). Texture Nodes. I use them in the Compositor primary for Procedural textures and Blends. So please redo. Btw, it would be nice if there was a texture input in Cycles too. Screen Capture (Alt F3). I literally found out about this feature few days ago. This is very useful if you want to record your Blender session. Michael P. (forest-house) created T54091: https://blendercoders.xyz/ shows error report. Michael P. (forest-house) added a comment to T53790: Design Doc: Sample based compositor. buffer of a input node (image, movie, etc.)? buffer of a texture node? buffer of a output node, i.e. a different compositing output? buffer of another scene (OpenGL / Eevee / Cycles Render)? Michael P. (forest-house) updated subscribers of D1984: MotionBlur2D Compositing Node. Michael P. (forest-house) added a comment to D2411: Compositor: Add Anti-Aliasing node. Michael P. (forest-house) added a comment to D1985: Light Linking. 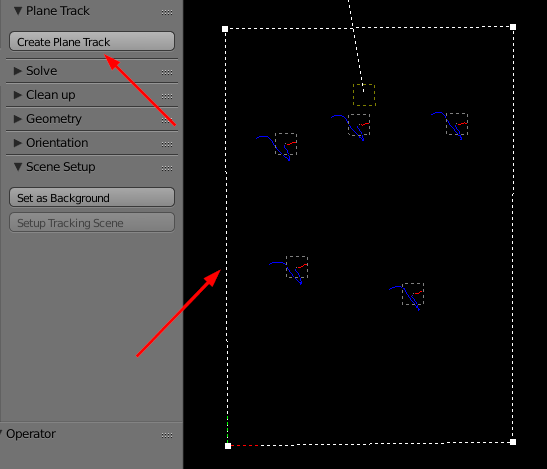 Michael P. (forest-house) created T53216: Motion Tracking - clean up - delete tracks or delete segments doesn't work. Michael P. (forest-house) added a comment to T51844: Custom Manipulators: Where to take advantage of manipulators. @Campbell Barton (campbellbarton). A better control of the plane track in the movie clip editor would be cool. Aspect ratio, width and height and rotating. Michael P. (forest-house) updated subscribers of T51844: Custom Manipulators: Where to take advantage of manipulators. 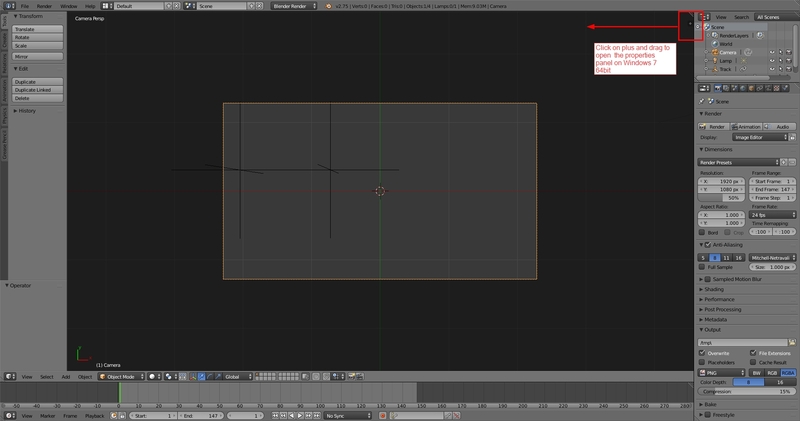 @Sebastian Koenig (sebastian_k) Thanks for the Node-Editor / Compositor suggestions! @Sean Kennedy (hype) do you have some more suggestions for compositor widgets? Michael P. (forest-house) added a comment to D2493: Compositor: Add Distance Transform Node. @Shinsuke Irie (irie) these are greate improvements to the node. I tested this new node for some cases, and I'm really impressed. Michael P. (forest-house) added a comment to T49571: 2d stabilize keys not visible in the Graph Editor and Dope Sheet. @Sergey Sharybin (sergey). Thank you very much! Is it possible to include this fix in the upcoming 2.78a release? Michael P. (forest-house) created T49571: 2d stabilize keys not visible in the Graph Editor and Dope Sheet. Michael P. (forest-house) removed a watcher for BF Blender: 2.8: Michael P. (forest-house). Michael P. (forest-house) added a watcher for BF Blender: 2.8: Michael P. (forest-house). Michael P. (forest-house) created T49134: Node Wranger: Nodes sometimes not in alphabetical order..
Michael P. (forest-house) created T49107: Movie Clip Editor: Grease Pencil attached to the "Canvas". Michael P. (forest-house) updated subscribers of D2106: Cycles: Proof-of-Concept Implementation of Cryptomatte Matte ID pass system. @Lukas Stockner (lukasstockner97) Just looked up what a Cryptomatte is and this would be a killer feature! Michael P. (forest-house) added a comment to T48779: Dyntopo Switching between relative and constant detail makes holes in viewport. @Campbell Barton (campbellbarton) I think that I don't get any holes, but some artifacts. I made a quick demo to show this. Michael P. (forest-house) added a comment to D583: Rework 2D stabilizator. I watched the video from Sean Kennedy @Sean Kennedy (hype) and he uses one track for position and the other for rotation stabilization. with Seans footage (from https://openvisualfx.wordpress.com). It works as expected. Michael P. (forest-house) created T48779: Dyntopo Switching between relative and constant detail makes holes in viewport. Michael P. (forest-house) added a comment to T48484: Issue with Auto Run Python Scripts and Windows 10. The file I work with renders a lot more than the example file does, but I can't provide it. Make sure Auto Run Python Scripts is set in the Preferences and then open the attached blend file. Michael P. (forest-house) added a comment to T48485: Cycles Glossy BSDF Specular issue. Some light color and material color combinations don't give any specular at all. Michael P. (forest-house) created T48485: Cycles Glossy BSDF Specular issue. Michael P. (forest-house) created T48484: Issue with Auto Run Python Scripts and Windows 10.
source/blender/makesrna/intern/rna_tracking.c:1865: new blank line at EOF. I can't apply your patch, because I get some errors. Michael P. (forest-house) added a comment to D1900: Add Replace Node operator. But at the moment it is too restricted, because I can only swap one node with another "class" node, i.e. from the input "class"
It is even very restrictive, because in the same class the type also must match, i.e. swap color input against image input and the connection gets lost. You have to manually connect the node again. Thats not how it works in the real work flow. Input / Output types get mixed all the time. And this is desired. It would be better if I could swap any node with any other node (like in "Node Efficiency Tools"). Yes, it doesn't make sense sometimes, but then manually correct this, takes less time than the implemented work flow now. The short cut should be the same like in the "Node Efficiency Tools", which is Shift+S. So user who worked with the add-on adapt it more quickly. And it is next to add node. @Sergey Sharybin (sergey). You are right. I support you 100% on this. I thik the Swap Node functionality should be a core feature, not an add-on feature. The previous post was only meant to inform, nothing more. be always available in Blender. @Sergey Sharybin (sergey) could (nothing guaranteed!) look into this patch for Blender 2.78, if @Sebastian Koenig (sebastian_k) and @Sean Kennedy (hype) could look at it and give a feedback. @Sean Kennedy (hype) needs a Windows build. Can someone help here out with a build? Thanks! There is already a simliar function in the "Node Efficiency Tools". But the shortcut there is Shift+S. Michael P. (forest-house) added a comment to T48091: Driven bone spins to fast. Michael P. (forest-house) created T48091: Driven bone spins to fast. Michael P. (forest-house) added a comment to T47591: Smoke keeps both .bphys and .vdb cache files. I tested this as you described it, and the cache is only deleted, if I free the bake and close Blender *and* open the same file again. Whitout the last part, the cache remains on disk. Michael P. (forest-house) created T47591: Smoke keeps both .bphys and .vdb cache files. Michael P. (forest-house) added a comment to T47587: Surface -> Nurbs Curve and Nurbs Circle are not filled. OK, but should the surface of the Circle not be filled somehow, like that of the Surface? There is no option for that. But thank you anyway for the explanation. Michael P. (forest-house) created T47587: Surface -> Nurbs Curve and Nurbs Circle are not filled. Michael P. (forest-house) created T47586: Nurbs Edit Handle thickness regression. Michael P. (forest-house) created T47583: Edge thickness regression. Michael P. (forest-house) created T47582: Curve Handles line thickness regression. Michael P. (forest-house) created T47479: Fix for T47454 was only partially successful. Michael P. (forest-house) created T47468: blender 2.76.11 (a8e6b63) windows 64 build missing python35.dll file. Michael P. (forest-house) added a comment to T47454: The line thickness of curve, paths, nurbs, etc. is wrong. Just checked the fix with blender 2.76.11 (a8e6b63) and this is only a partial fix. Michael P. (forest-house) created T47455: Metaball cube and plane selection not possible. Michael P. (forest-house) created T47454: The line thickness of curve, paths, nurbs, etc. is wrong. Michael P. (forest-house) created T47430: GPU and CPU smoke rendering shows different "Color" values. Michael P. (forest-house) created T47429: Wrong line thickness of muted compositor Vector Curves node. Michael P. (forest-house) created T47324: Rename glitch. Michael P. (forest-house) created T47251: Cycles: Incorrect texture projection display in "Material" display mode..
Michael P. (forest-house) created T47137: OpenExr file save bug. Michael P. (forest-house) created T45936: Cycles motion blur particle object display issue . Michael P. (forest-house) added a comment to T45156: Windows crashes when draging properities panel to open it. Michael P. (forest-house) added a comment to D1373: Automatically Offset Nodes on Insertion. As for the "which direction to move to make space availabe". I think instead of option/button coudn't it be auto guessed and take into account over which node (previous or next) the user is hovering the node which he wants to insert? It would speed up the workflow. "backdrop" is already in the properties panel. If you want functions like fit or zoom and don't know the shortcut you have to open it anyway. "auto render" is for me a performance option too. And in the attached file is all I got until reboot. And it's not much, but maybe it helps somehow. @Thomas Beck (plasmasolutions). The first test was rc2, later I tried rc1. I have win7 64bit. A better image of the region to drag. The fist one was to misleading. Michael P. (forest-house) created T45156: Windows crashes when draging properities panel to open it. Michael P. (forest-house) added a comment to T44675: Motion Tracking - Reopening file leads to jitter of tracked markes..
Michael P. (forest-house) created T44724: There is no menu option for the fit movie clip to availabe view function. 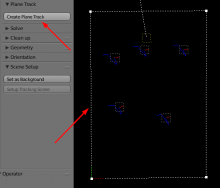 Michael P. (forest-house) added a comment to T44640: Motion Tracking - (De)selecting Track Marker and Graph issues.. I have tested the issues in the recent Blender build. I had to use win64_cmake_vc2013.zip (build Fri May 15 09:25:54 2015) because the other Windows 64bit build was not available at this time. Michael P. (forest-house) created T44686: Font offset issues.. I have checked this file blendfiles\02_camera_tracking\05_compositing\composite.blend with blender 2.62 (official), 64bit Windows. Michael P. (forest-house) created T44683: Motion Tracking - Muting of footage is not possible, if Display Stabilization check box is set.. If I understand this correctly, selecting time code index works independent of the generating proxies, right? Don't know if this a bug, but when the Display Stabilization check box is set (Display panel), I can't mute the footage. Michael P. (forest-house) updated subscribers of T44675: Motion Tracking - Reopening file leads to jitter of tracked markes..
@Sergey Sharybin (sergey). Tested with the hints you provided. Michael P. (forest-house) created T44675: Motion Tracking - Reopening file leads to jitter of tracked markes..
Michael P. (forest-house) added a comment to D1285: Cycles: Make animated seed a builtin feature. Will this "random" seed feature have a negative influence on the layer rendering? Michael P. (forest-house) created T44640: Motion Tracking - (De)selecting Track Marker and Graph issues..
Michael P. (forest-house) added a comment to T43595: Several issues with Grease Pencil (no bugs). @Joshua Leung (aligorith). Thank you for all these answers. Michael P. (forest-house) created T43595: Several issues with Grease Pencil (no bugs).